With manufacturers facing a severe shortage of qualified workers, it’s time to invest in the largest untapped talent pool – WOMEN. Women constitute about 47% of the US labor force but only a third of the manufacturing workforce. Research shows that gender diversity benefits a manufacturing company through enhanced ability to innovate, greater return on investments, and increased profitability. Please join us at this Gears & Gadgets where our panel of female manufacturing Executives discuss the role of women in manufacturing and offer creative solutions based on their personal experiences. What is being done to attract young girls to a career in manufacturing?. How can manufacturing companies attract, retain and promote females? What are potential career paths for women in manufacturing? What type of skills do women bring to manufacturing that can be a competitive advantage for your company? Where do women in a male dominated company find support or a mentor? You don’t want to miss out on this dynamic panel! To qualify for attendance at Gears & Gadgets, one must be a manufacturing business owner or currently employed manufacturing Executive. This focused approach will enable Gears & Gadgets attendees to engage in conversations that directly pertain to industry issues within their respective manufacturing companies. Thank you to our Platinum Sponsors for making this Gears & Gadgets possible! Every business has obstacles, and the journey never goes exactly as planned. But one thing is certain: What separates the successful CEOs from the unsuccessful CEOs is whether or not they adopt a comprehensive process of execution. That’s where we come in. Resultants For Business (RFB) works with owners and their leadership teams to turn vision into executable strategy and complex problems into simple solutions. The result is accelerated growth and value. 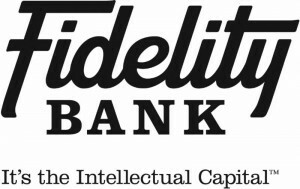 Fidelity is an independent, privately-owned business bank. What makes us different from the rest is the Intellectual Capital that enables us to meet customer needs more quickly, provide more creative financial solutions, and anticipate issues before they arise. 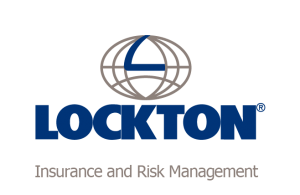 More than 5,600 professionals at Lockton provide more than 48,000 clients around the world risk management, insurance and employee benefit consulting services. For over 40 years we’ve been able to tailor our services to meet the specific needs of clients within the manufacturing industry. Although Lockton is the world’s largest privately held insurance brokerage firm, clients most frequently describe us as team members who make their business better. SUCCESS Computer Consulting is a managed services provider based out of Golden Valley that provides managed network support, advanced network engineering, outsourced helpdesk and database and reporting services; all designed to help you achieve business success. Published by Tiger Oak Media and based in Minneapolis, Minnesota Business magazine covers small and midsize companies throughout the state, revealing the successes, challenges and lessons to be drawn from their experiences. This fall, Minnesota Business will be hosting its Manufacturing Awards, recognizing the hard work and success of the Minnesota manufacturing industry. Our magazine maintains a steady focus on industries that make up the state’s economy, providing a fascinating mix of companies and personalities in every issue. Readers turn to our magazine for not only useful information, but also inspiration as they pursue success. Hockenberg Search is an Executive Outplacement and Executive Career Transition Coaching company. 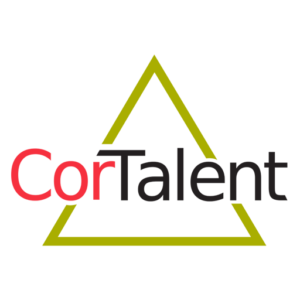 We specialize in delivering comprehensive, HIGHLY INDIVIDUALIZED Executive job search services that help our clients land the RIGHT JOB, FASTER. As ‘recovering recruiters’, we have an insider’s understanding of how Executive HIRING DECISIONS are really made. That knowledge – along with our track record for SUCCESSFUL PLACEMENTS of hundreds of Executives and deep NETWORK CONNECTIONS – make us uniquely qualified to lobby on behalf of manufacturing Executive job seekers. In 2012, Marni Hockenberg founded the Minnesota Manufacturing Executives and Gears & Gadgets to create synergies within the Minnesota manufacturing community. She also co-founded the MN Women Leading Manufacturing Collaborative as a networking and support forum for women Executives who work in the manufacturing industry. Hockenberg Search is passionate about the sustained growth of our manufacturing industry. Founded in 2012, Gears & Gadgets is an exclusive quarterly event for Minnesota Manufacturing Executives to discuss industry trends and develop synergistic connections. A typical event showcases a manufacturing industry speaker followed by a networking reception with hot appetizers and cash bar. Manufacturing business owners and executives are eligible to attend. This program is ‘by invitation only’. To receive invitations, contact the founder, Marni Hockenberg at marni@hockenbergsearch.com or 952-500-9542.